The 1994 introduction of the 7.3 Powerstroke engine helped to bring it’s creators to new heights. This engine was originally produced to power vans. The large 7.3 displacement helped to provide up to 275 hp of pure power in a diesel motor. The termination of this engine in 2003 in favor of the 6.0 has not phased the popularity of the engine. Our dieselengines.co resource online was created to help inform buyers before purchase is made. Our 7.3 engine inventory is one of the best on the Internet. Each rebuilt engine is constructed with extreme precision and care. Unlike some diesel engines, the 7.3 includes only one supercharger. This air cooled design provides the high horsepower that owners of diesels have come to expect. The rebuilt editions that our company sells are built inside of our facility. Our mechanics understand the 7.3 size and technologies used. We’ve invested into diesel engine technologies to provide better resources for buyers. Our company relies on gasoline and diesel engines in the refurbished Ford lineup. What is found at our company is a commitment to quality service. The investments made into our engineering facility help provide customers in the U.S. and Canada with used engine alternatives. Many companies provide a version of a refurbished Ford diesel engine. Few companies are able to offer an OEM edition. Our company is a leading distributor of refurbished Ford diesel motors. Our motors are not aftermarket productions. Our team builds OEM specs versions. The 7.3 size, 6.0 and other editions are built here daily. Because of commitments to customer satisfaction, we are able to attach warranty coverage. This coverage is not generic coverage. It is common for some companies to provide one month or less protection. Precision building of each rebuilt Ford diesel engine provides our buyers 36 months of warranty coverage. This unlimited mileage time frame is offered as a special incentive for customers choosing our company. Our company does not stop at basic incentives. Our prices remain low. Our quality remains high. We test every engine before it is shipped. Our warranty coverage is generous. All of these incentives combined are in response to our customers. 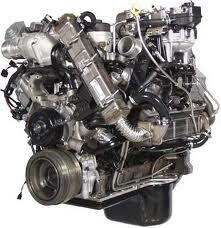 Buying a rebuilt diesel engine on the Internet does not have to be difficult. Each Navistar International/refurbished Ford engine that is built by our company gets shipped the same day an order is processed. This excellent shipping works great for installations. We sell to salvage companies, junkyards, vehicle owners and others. We understand what rapid shipping means. Use our quote form in the side bar to get your prices quickly. Our team reviews all information submitted. Our turnaround for price quotations is nearly instant. Our team reviews engine data submitted then checks our database for pricing. Were able to maintain this online system for customers. This means no waiting for pricing comparisons. We offer a toll-free number to obtain easy information. Try out our unique quote system now. Why wait to receive a rebuilt 7.3 Powerstroke engine quote in 2 days or more? Get one instantly.